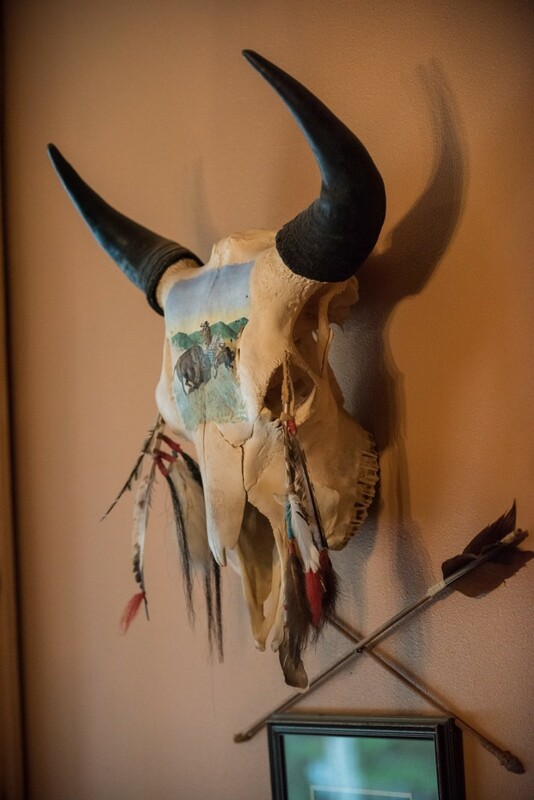 The Nez Perce room is named after the Native American tribe credited with developing Janice’s favorite horse, the Appaloosa. The Appaloosa is also the Idaho state horse. 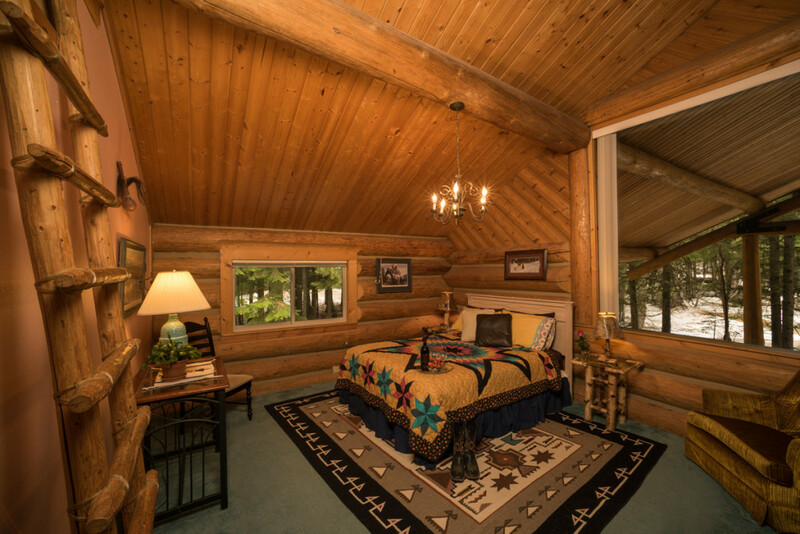 The centerpiece of this room is a comfy queen size bed wrapped with a colorful handmade quilt. 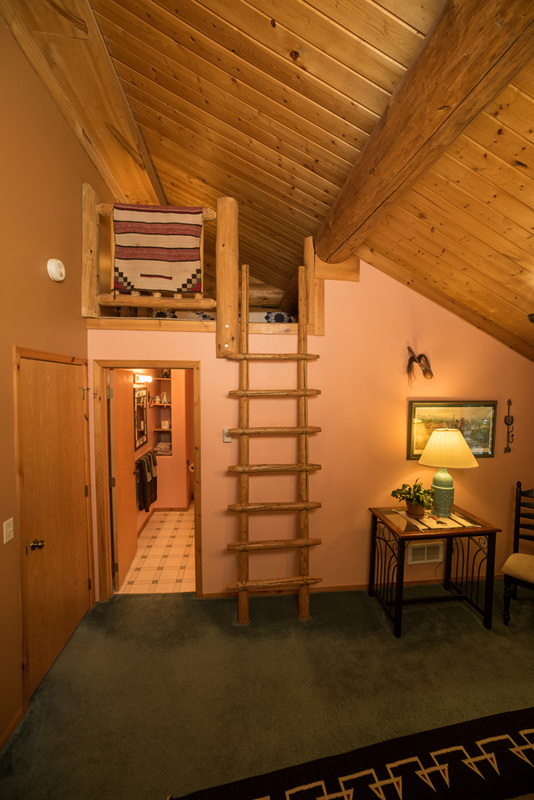 You’ll enjoy the large windows with wooded views, private bath and hide a way loft with twin bed. This room is located on the upper level in the Grand Lodge. 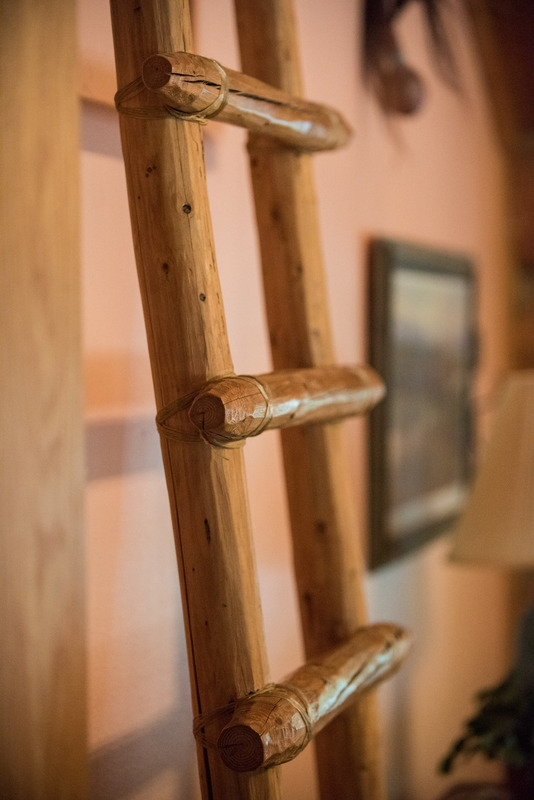 Enjoy your western vacation in the comfort of the Nez Perce room.